The fabulous Mottram Hall played host to a wonderful night of evening entertainment for guests of Danone Nutricia, as they took part in our fun-filled and fast paced Interactive Quiz night to follow on from a day of conferencing. The entertainment kicked-off in style with our Hit or Miss Game Show round after a few lovely gift presentations from the Danone team. The Hit or Miss got the competitive spirit flowing early doors, as each player battled it out to be the last man or woman standing...! High energy and up tempo tunes were played as we made our way down to the finalists, all of whom joined us on stage before the Head-to-Head showdown between Steph and Katie! They match each other blow for blow until Steph pulled it out of the bag and secured the first set of points of the evening for her North & South Unite team. More fantastic Quiz Rounds flowed through dinner, including a specialist Danone Round, which Norfolk ‘N’ Chance struggled in (P45's all round! ), whereas Team Simon Says performed sensationally! The Guess Who and Name the Movie Rounds were hotly contested, with Moby and mates (joined by special guest for the evening, Moby - the actual real one, we are certain!) striking gold in the Guess Who, and the ultra-corporate Nutrition Ninja's scoring a massive 900 points on the Movie Round...they certainly knew their Catching Fire's from their MockingJay's! The grand finale came in the shape of the Music Round, as teams bid to guess the name of the song and artist from just a few seconds of music! Alan's Angels made up for their dismal Movie Round with a solid score, and the Booby Collective continued to show promise with a decent 700 points. As the Music Round came to a close, the Danone group had a wonderful surprise in store for one of their longest serving colleagues, Alan, who enjoyed a hilarious 'This is Your Life' sketch up on stage which brought the evening to a fitting (and at times, emotional) close. With the This is Your Life show over and not a dry eye in the house, all that was left to do was find out which team would be walking away as Team Challenge Company Interactive Quiz Winners! But firstly, in last place and taking home the Wooden Spoon was the small but perfectly formed Norfolk ‘N’ Chance Team with 1800 points. All other teams who didn't quite make top of the pile joined us on stage to rapturous applause, until only 2 remained. Finishing in 2nd place was the mighty North & South Unite with 3300 points, who were pipped by just 100 points by the mighty Simon Says Team - the crowd going wild as they stepped up to lift the much-coveted Winners Trophy - legends! A wonderful night of evening entertainment had been enjoyed by all, and the room was a buzz of hilarity as we wrapped up for the evening. Some final big cheers must go to our special guests on the night - Prince Harry, Phil (or Grant) Mitchell, Moby, and of course the lovely Katie for all her efforts and hard work in organising the evening and making it such a success. 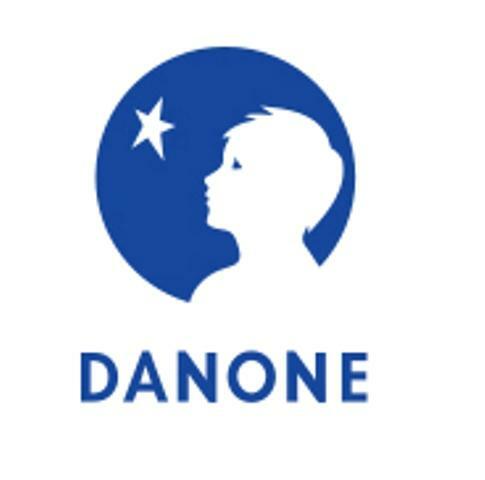 It was a great pleasure to work with the entire Danone team, and we very much hope to see you all again soon for the re-match!